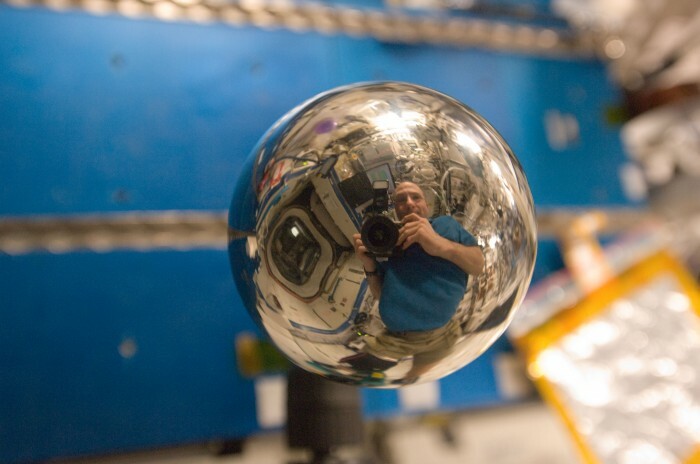 ok, I get it that this is from the ISS, but…what is the mirror? Metal? Water? Not water – would be fish-eyeing the other side of it – in theory could be mercury but I don’t that they’d risk that these days. May merely be a reflective metal ball floating. ball bearing just floating around? You’re probably right, but I not-so-secretly hope you’re wrong, because a floating ball of liquid mercury is way cooler. Waiting for a pair of pitchforks and a power-auger to pop out.